Invest in a luxurious villa with Eden Island and enjoy utmost privacy and amazing views of the best the Seychelles has to offer. 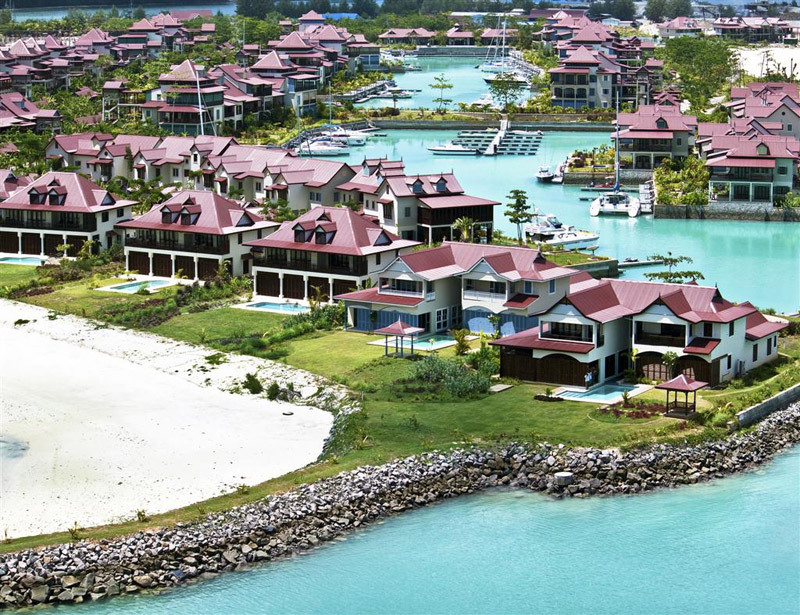 Find out what the Eden Island residential marina development has to offer you. The Seychelles is considered one of the most beautiful countries in the world, and many buyers choose to invest in luxury villa properties here. The archipelago is situated off the east coast of Africa in the warm Indian Ocean, and comprises over 100 islands. Nearby countries include Mauritius and the Comoros, which are both renowned island destinations in their own rights. This archipelago is considered one of Africa’s smaller countries in terms of population. However, it’s also renowned as one of the friendliest nations in regards to attractions and hospitality. Owing to its booming tourism industry and abundant wildlife and landscapes, these islands are continuously rising in popularity as first-class holiday destinations for those seeking natural splendour. The climate is conducive to outdoor activities, with most of the islands situated outside of the cyclone belt and many residents owning boats for travel and exploration of the Indian Ocean. Since the launch of the international airport in the 1970s (situated on the island of Mahé), there has been much encouragement from the government with regards to property investments by foreigners. Contact us for more information on island villa investments in the Seychelles. With the boost in outside interest and investment, an amazing marina development offering the highest quality luxury freehold title homes for sale was constructed. 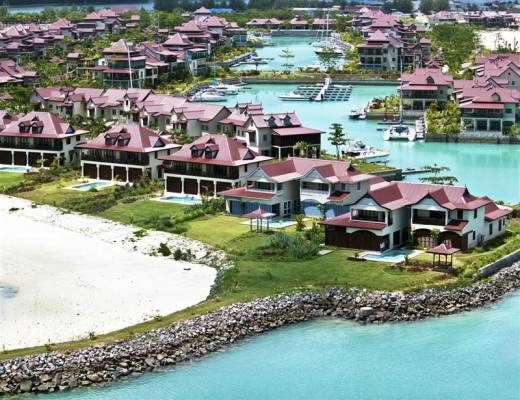 This luxury destination is known as Eden Island. Boasting waterfront property, as well as holiday property for sale all over the island, Eden Island offers a sought-after combination of accessibility and privacy to all homeowners. Accessibility - Situated a few hundred metres from Mahé, the island offers residents quick access to the airport via a bridge. Additionally, one of the main design principles in the construction of the island is the world-class marina, which provides residents with moorings for their own crafts. This facility is capable of accommodating super-yachts of up to 100 metres, providing luxury villa owners with the ability to explore the islands in their own boats and in their own time. All holiday villa properties are sold with an Electrically Powered Vehicle for getting around the island. Privacy – Our private villa with pool options all draw on the inspiration provided by the Seychellois plantation manor houses of the past. The high ceilings give a feeling of spaciousness and the expansive verandahs provide excellent views of the islands. Whether you’re looking for a single or two-storey villa to call your own in the Seychelles, Eden Island boasts properties where “every window has a view.” Contact us for more information on an island home that overlooks its own private swimming pool and an expanse of idyllic landscapes. Simply fill in the contact form and we will be happy to get back to you and answer any questions or queries you might have about our Apartments, Penthouses, Maisons and Villas. Receive 10% discount for any stay over 6 consecutive nights. Valid for all rate periods. Please note this offer only applies when booking directly through EILA. T’s &C’s apply.